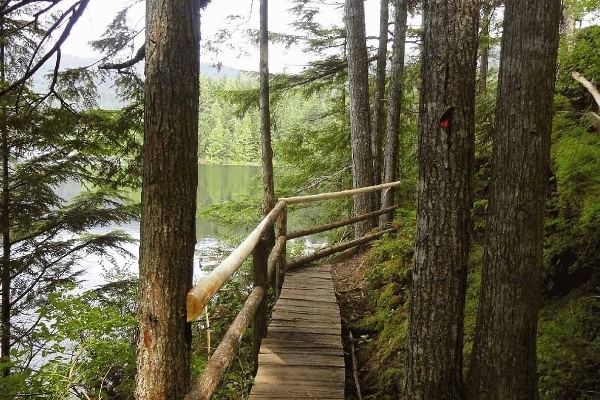 Explore the many amazing places on the West Side of Harrison Lake. Whether you are interested in hiking, fishing, boating, motorized recreation or just to sit back and relax around a camp fire, this is the place for you. 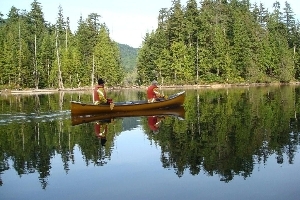 Recreation Sites and Trails BC have a number of maintained campgrounds to choose from depending on what you are looking for. All of these sites have a full time Host and happy to share their knowledge of the area. Have a look at each site and choose one that bests suits your needs. Enjoy this GROUP site for your family or group gatherings. 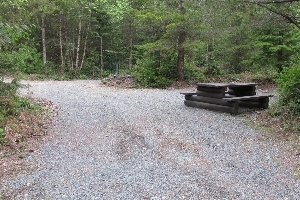 This site is located at the north east side of Weaver Lake and boasts a dock, 10 tenting pad sites (room for more tents or RV's) and a communal fire ring. Enjoy this GROUP site for your family or group gatherings. This site is a large semi-open site with 7 camping sites. You are given a key for the gate, so you can come and go as you please between 7am to 11pm. Enjoy this GROUP site for your family or group gatherings. 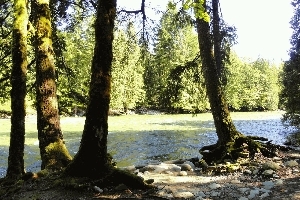 A favourite small campsite situated next to Wolf Lake. This is the only campsite on the lake. A dock is available for those who enjoy fishing. This is a beautiful site situated amongst mature timber. It borders the Chehalis River, which offers excellent steelhead fishing opportunities. 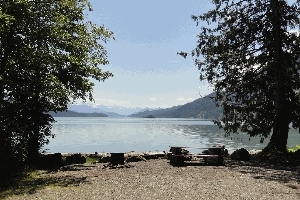 This is a large (52) site campground on a sheltered point on the west shore of Harrison Lake with over 1 km of beautiful beach, with an abundant amount of old growth trees. This Rec Site is a real Jewel. 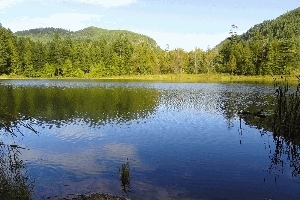 This site is a medium sized campsite on a stocked fishing lake. This site is popular with anglers and families. 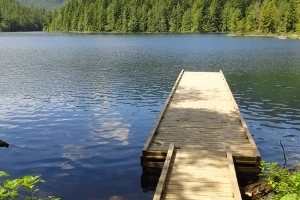 A boat launch is available along with a dock for use by boaters with small boats with a maximum of 7. A large semi-open site with three separated camping areas, one on each side of the lake, and one tucked behind the south end sites. Wood Lake is a great fishing lake, however no power boats are allowed. By checking this box, you agree to our Reservation Policy. Please double check your reservation before completing your transaction. Reservation errors could result in additional fees. No Refund will be provided less than 14 days prior to your arrival date. Camping fees only, are refundable on a pro-rated scale as outlined on our Fees and Discounts Page. In order to allow for maximum use of our Group Site facilities, cancellation fees are now set to encourage the public to make any cancellations as soon as possible, so that others may reserve and use the unoccupied Group Sites. Due to Provincial Policies we no longer accept changes to your arrival date unless it is to arrive earlier and add additional nights. 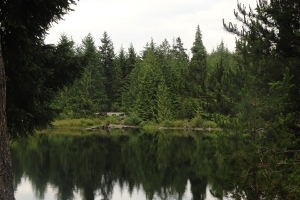 Once a Camping Permit is issued, it is non-refundable and non-transferable. Refunds for Group Sites, Camping fees only, are refundable on a pro-rated scale as outlined on our Fees and Discounts Page. All reservations are held until 10:00 pm of the day you are scheduled to check-in. If you do not arrive by 10:00 pm, the site is considered forfeited, and no refund will be provided and your campsite will no longer be available to you. Your reservation camping fees, includes the first vehicle. Each additional vehicle is required to pay $18 per night upon arrival. CASH ONLY can be accepted on site at all of our campgrounds. Your reservation camping fees, includes the number of vehicles stated beside each campground below. Each additional vehicle is required to pay $18 per night upon arrival. CASH ONLY can be accepted on site at all of our campgrounds. If you require a change to your campsite number or wish to add additional camping nights to a current reservation, a $9.00 Change Fee will be charged to the credit card on file, as well as any other camping fees that may be applicable. The change fee will apply to Each change made to a current reservation. Multiple changes to a reservation will incur multiple change fees. For a Single, Double or Triple Site, NO Changes can be made, 14 days or less, prior to your arrival date. For any Group Site, NO Changes can be made, 30 days or less, prior to your arrival date. To make a change to your reservation, please use the Contact Us Form to send us an email. Ensure you include all the necessary information required to make the changes for you. Any request for a change to your reservation will incur the Reservation Change Fee and it will automatically be charged to your credit card on file. To avoid being charged this fee due to errors, please review all the details of your shopping cart, prior to checking out and submitting payment. This fee will not be applied when cancelling a reservation. Cancellation fees will remain as outlined above. Friday or Saturday night - 2 Night Minimum charge applies for any reservation on a Friday or Saturday night. Long Weekends - 3 Night Holiday Rate charge applies on all long weekends, for all camping. Please see FAQs - Long Weekend Rate for more details. Due to the increased client pressure to secure a campsite, clients are arriving or making a reservation days in advance of a busy weekend, erecting a tent/parking a trailer and leaving the property only to return for the weekend. Under Recreation Sites and Trails Rules, this does not constitute "Occupying the Site" and will no longer be allowed. This prevents people arriving during the week who want to camp. Your site must be occupied. If you go to the store, for a drive or a walk, that is fine. You will no longer be allowed to arrive, erect a tent or leave a trailer and leave the property overnight. As well, you are not allowed to pay to hold a site for a friend. First come, first serve sites are exactly that. The first person to arrive that wants to occupy a site for camping purposes will get the site.